Looking for a little team fun and excitement? 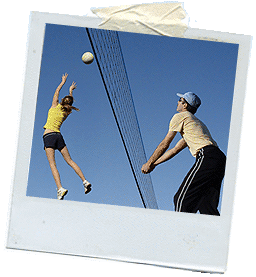 Our volley ball is a perfect complement to your event. The set comes complete with everything that you need for a game and we event include the complete setup at your event as part of our event delivery.